Conveniently located off Route 7 in Burriville Rhode Island, Country View Golf Club is a beautifully maintained public golf course offering a challenging and fun experience that will appeal to golfers of all levels. 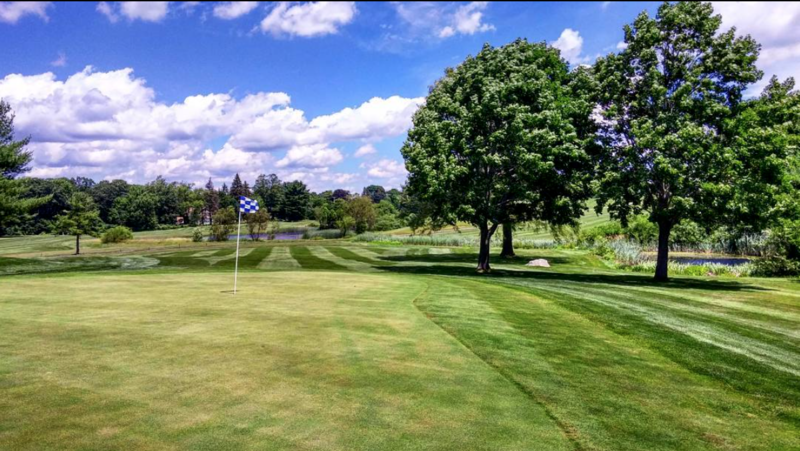 With its majestic willow tree-lined fairways and rolling terrain, Country View Golf Club has been a favorite of the Blackstone Valley area for over 40 years. Ready to dine? Our professional an friendly staff make our clubhouse warm and inviting, a perfect way to relax after your round. Country View Golf Club is an 18-hole, par 70, 6,067 yard, public golf course situated 10 minutes north of Providence, RI, and just over the Massachusetts state line. With relatively few bunkers on the course and a picturesque layout, Country View features electric-powered, golf carts equipped with roofs, windshields and course yardage guides. A specialty of Country View Golf Club is our Golf Outing Program, featuring a professional, full-service staff to organize a special event of almost any size. Additionally, we have a large selection of Pro Shop merchandise featuring top brands. As you navigate through our website, remember that you can email us at any time through our Contact Page or call us at (401) 568-7157.